A Cookie Before Dinner is a hyperlocal website focused on encouraging parents in Western Massachusetts to chase a sweet life well lived. In this space, you’ll find a mix of great content to make your life easier as a parent living in the Pioneer Valley. Each month we post a free/cheap activities guide as well as several posts on activities to enjoy with your family. 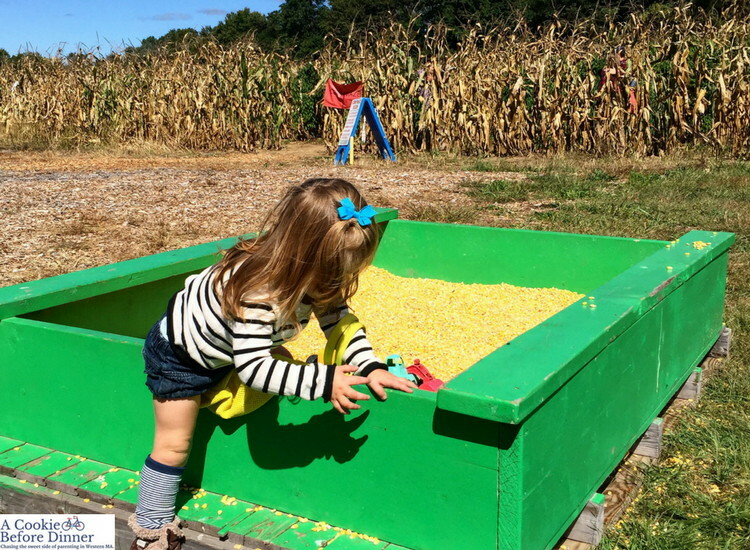 In addition to suggestions for things to do in Western MA with kids, we also write about food your kids will actually eat, products we love, books/crafts and general parenting topics. Some of our most popular Western MA posts include How To Take Your Kids To The Holyoke St. Patrick’s Day Parade , Jesscia’s Boundless Playground In Belchertown and How To Save Money at Six Flags. I grew up in a small town in Illinois and my husband is from Cape Cod. We landed in the Pioneer Valley because of his job, but we don’t have any family nearby. When kids were thrown into the mix, we realized how important it was to build deep friendships with friends who live near us. Those friends, have become our family. It is my hope that you’ll find a great community of friends in Western MA too. In fact, I’ve got a Facebook Group called Western MA Parents where you can connect with other parents who live here! Because I can’t be everywhere at once, I define Western Massachusetts as Franklin, Hampshire, and Hampden County and think of the Berkshires as a separate space. In addition to serving our local community, we have found that we’re relevant to parents living outside of our area as well. One of our most popular posts of all time is 101 Preschool Stocking Stuffers, no candy. To date, that post has been pinnned over 20,000 times on Pinterest. Other popular posts include How To Save Money On Groceries Without Coupons, Pickle Wrap Dip and What To Do With Your Leftover Halloween Candy. Also, I have collaborated with a lot of nationally recognized brands to produce content on their behalf. If you are ready to partner with the BEST RESOURCE for families in Western MA, email me at nancyjo@acookiebeforedinner.com for my media kit and rates.